This week’s challenge is sponsored by Dashing Diva. We asked our Top 7 to create a cohesive set of 10 jeweled appliques. 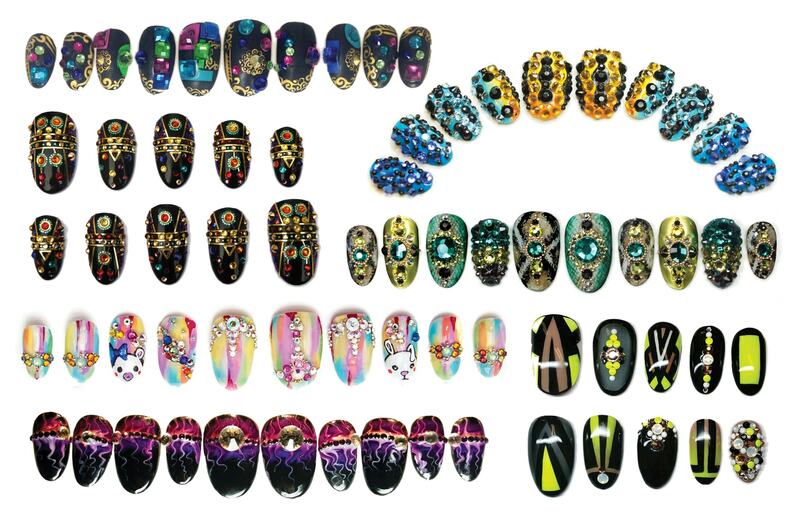 They were given clear nail tips to use and were allowed to incorporate a design using any nail products as the base. Then, they were instructed to use only crystals, studs, and beads (NO CHARMS) to create a bejeweled set of nails. We’ve posted their entries on the Week 6 Challenge page. Voting will be open until Thursday, October 16 at 12 PM PST. We’ll announce the results of Week #6’s challenge (the winner and who is eliminated) on Friday, October 17.